I’m always fascinated reading about people who transitioned to dessert-related occupations as second careers. I also like hearing about successful entrepreneurs whose social consciousness impacts their businesses. And when I signed up for a truffle-making workshop at Roni-Sue Chocolates, I was almost as interested to hear Roni-Sue’s story as I was to learn how to make truffles. (Roni-Sue Chocolates is known for its truffles, buttercrunch toffee, and “Pig Candy” (chocolate-covered bacon). While Rhonda, a/k/a Roni-Sue, had been making chocolates, she was a passionate hobbyist, and not a professional chocolatier. Although she describes herself as a “serial careerist” she spent several years working to help the victims of domestic abuse. And when she decided to open up her chocolate store, she chose the Essex Market, a diverse, community-oriented market located in NYC’s Lower East Side. Her second location, a free-standing store, is a few blocks away. 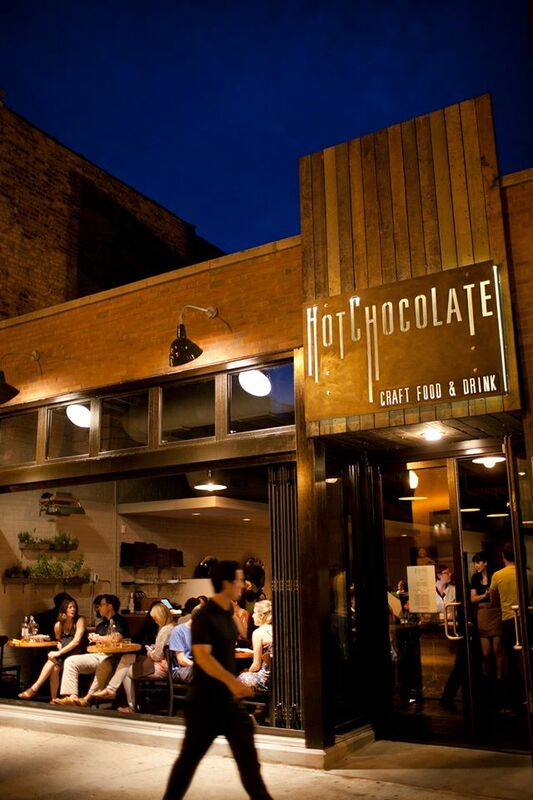 Her social consciousness led her to become a partner in a Belize-based bean-to-bar chocolate operation, MOHO Chocolate. The cacao beans are grown by local farmers in Belize. And all of the fermentation, roasting, and other processing is handled in a central processing facility in Belize, helping farmers maximize their crop while also keeping money and jobs in this Central American country. As Roni-Sue notes, MOHO Chocolate utilizes an interesting business strategy. The chocolate bars are sold in a MOHO store located in the tourist area of Belize. Who are the customers? For the most part, passengers on cruise ships that dock there—not repeat customers. These bars are sold in this country only when one of the MOHO partners comes back from a trip to Belize—and they’re sold in one of Roni-Sue’s locations—until they run out. But let’s get back to truffles. 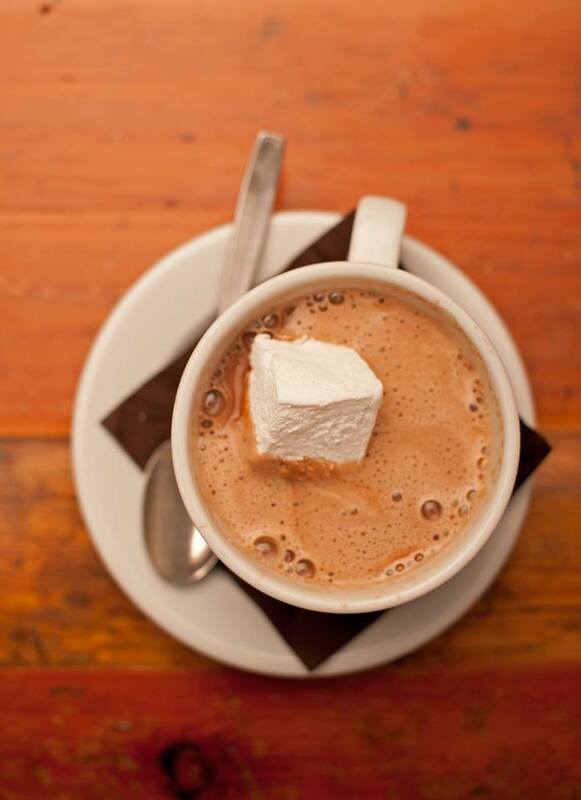 Roni-Sue uses MOHO Chocolate for the interior of her truffles and for her hot chocolate. (She obtains the chocolate in 4 pound blocks.). For the outside coating of her truffles she prefers Callebaut or Valrhona chocolate since they’re a bit smoother. What kind of truffles does Roni-Sue offer? A huge variety. How about my personal favorite—the Harvey Wallbanger truffle made with Valrhona white chocolate, vodka, Galliano, and orange-infused white chocolate ganache? Or a “Frida” truffle with dark chocolate, espresso, Kahlua, and Dulce de Leche? Or a Beer & Pretzel Caramel truffle? The list goes on. And seasonal specials – such as Rose truffles for Valentine’s Day, round out the offerings. I’ve been dreaming of truffles! 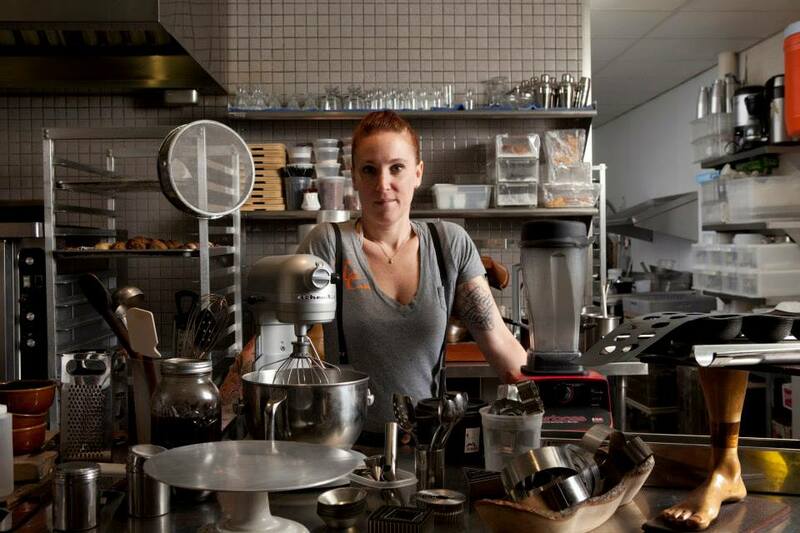 While Mindy created plated desserts for several years she decided to “let the young kids do this” and instead focused on her craft. She baked Cookies every day and came up with a variety of different techniques. 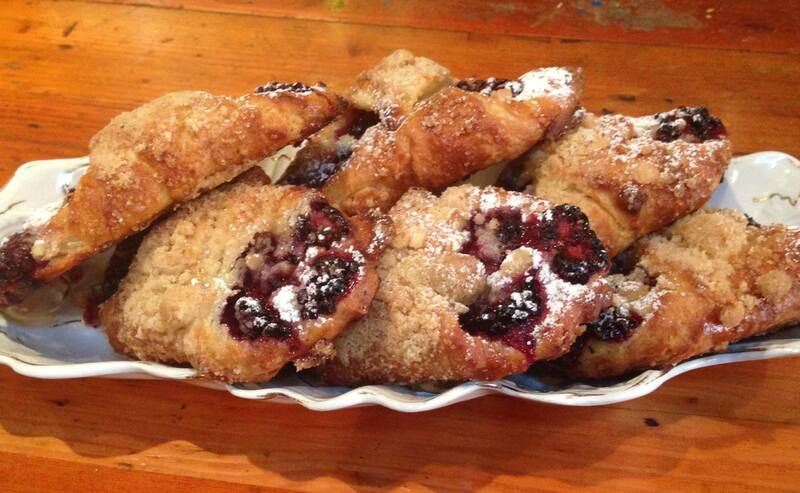 In fact, when she opened her restaurant, the pastry case was filled with mostly…. You guessed it, Cookies! Her mind explodes with ideas for Cookies. 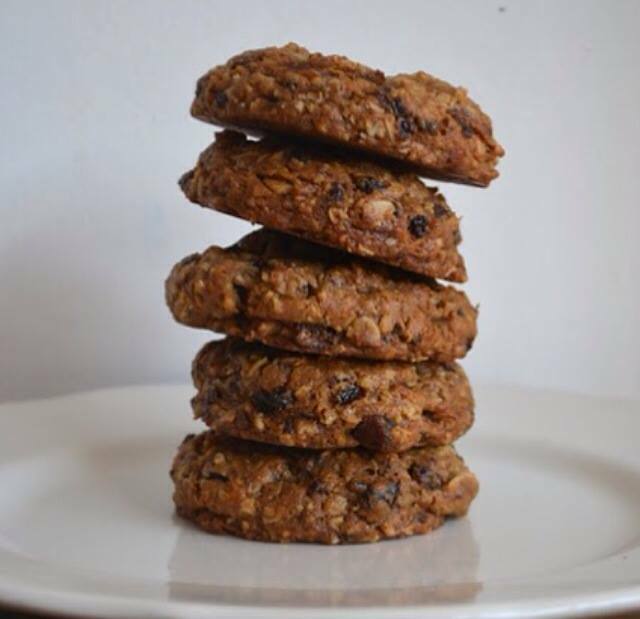 Nutter Butter-type Cookies, Oatmeal Cookies, Milano-type Cookies, Thumbprint Cookies…….the list goes on and on. 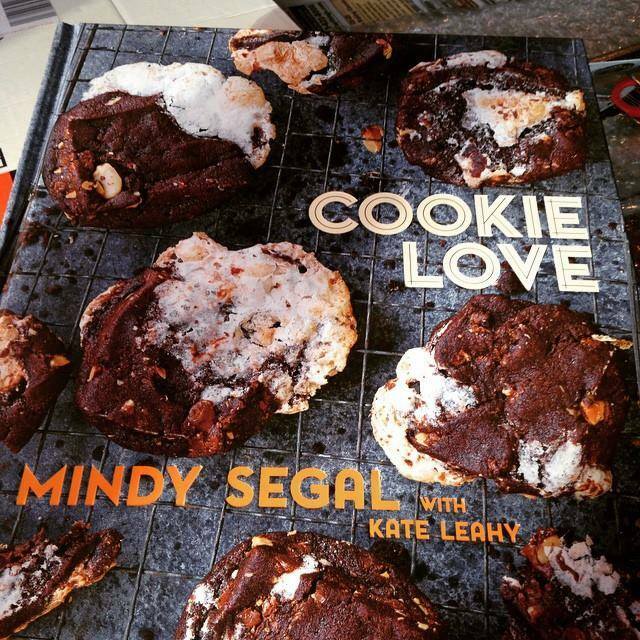 Mindy also likes creating “Dessert in a Sandwich Cookie.” How about a Banana Cream Cookie? She’s a seasonal baker – in February she developed a number of Chocolate Desserts and her restaurant is now featuring a spring collection of nostalgic desserts. 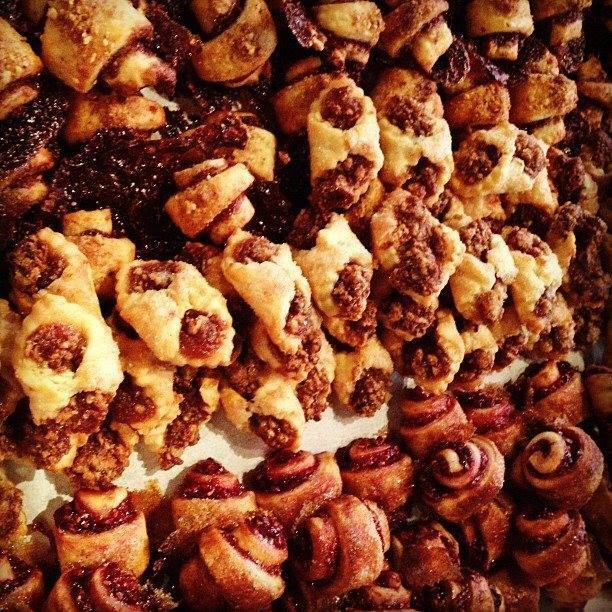 — And continuing the hot fudge theme…..hot fudge and jam make a wonderful rugelach filling. When it bakes, the hot fudge will ooze out a bit, but that’s OK.
— Brown butter is a fantastic addition to desserts. At the restaurant, brown butter is prepared in advance so it’s always on hand. 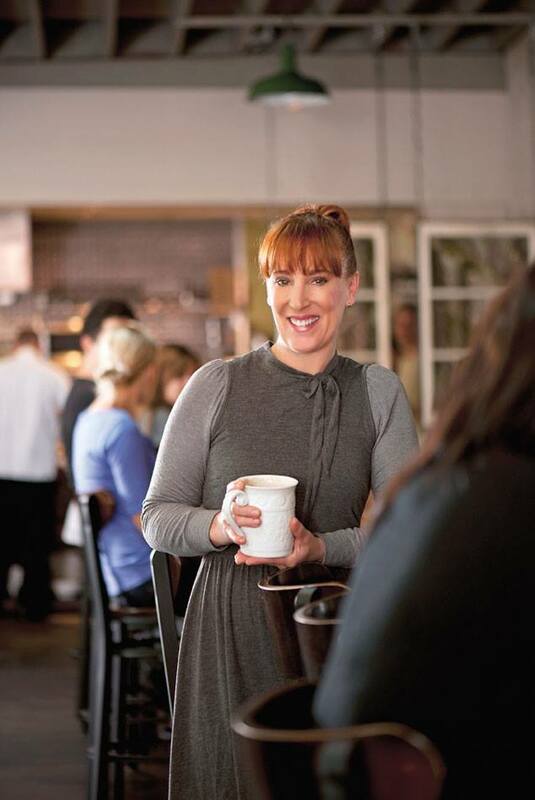 And for those of us wondering what enables a restaurant to survive and flourish, since so many fail, Mindy summarized her own rules: she owns only one restaurant; she’s there six days a week; and when she’s not there, a trusted person, such as her husband, the manager, or the pastry chef, is. Mindy believes “There’s a Cookie for everyone” (well, there are probably hundreds for me, but I digress) and “Cookies are tiny little nuggets of happiness.” I couldn’t agree more! I recently attended Crain’s Made in New York, an event which connects the small business food and beverage community with retailers and buyers. As a dessert glutton, I think I fall into the “buyer” category. Broadway Baker – Baked goods are produced in small batches using recipes that have been in the family for three generations. Broadway Baker’s offerings include “Major Brownies,” “Grandma’s Mix-Up Bars” (chocolate, coconut, crushed pecans atop a graham cracker crust, drizzled with a sweet cream glaze), chocolate chip cookies, cupcakes, and more. A portion of the sales of the treats are donated to charities. Also see the Dessert Surveillance posting on Broadway Baker. Brooklyn Cupcake – Started by two sisters, along with help from a cousin, Brooklyn Cupcake’s menu reflects the founders’ Puerto Rican and Italian heritage. Cupcake flavors include: Dulce de Leche, Flan de Queso (vanilla cake with homemade flan), Guava con Queso (yellow cake with guava paste and guava jelly), Rainbow Cookie (inspired by classic Italian rainbow cookies), as well as more traditional Cupcake flavors. 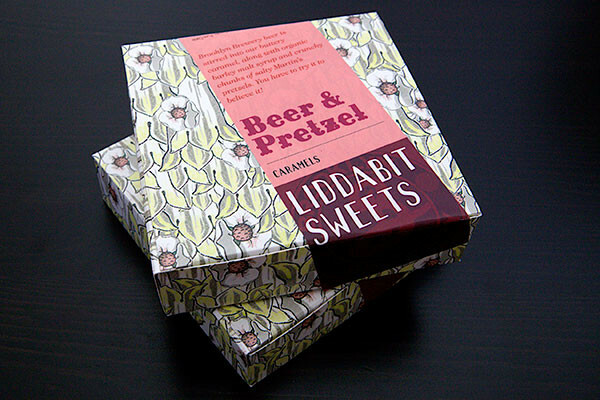 Liddabit Sweets – Dark Chocolate Sea Salt Caramels and Beer & Pretzel Caramels are this Brooklyn confectioner’s two most popular products. The kick in the Beer Caramels comes from Brooklyn Brewery’s Brown Ale and East India Pale Ale. And let’s not forget about Candy Bars. “The King” – a milk chocolate covered peanut butter and banana ganache bar is named after, you guessed it, Elvis. 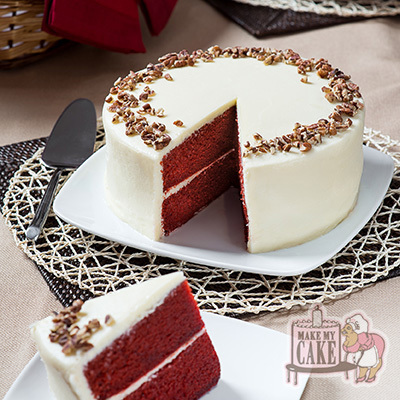 Make My Cake – Cakes, cupcakes, cookies, and pies are produced using family recipes that combine the southern traditions of Mississippi and Alabama along with Harlem soul. Cake flavors include Red Velvet, Butter, Carrot Cake, Double Chocolate, Caramel, Coconut Pineapple, Lemon Butter, Strawberry Layer, and German Chocolate Throwdown. 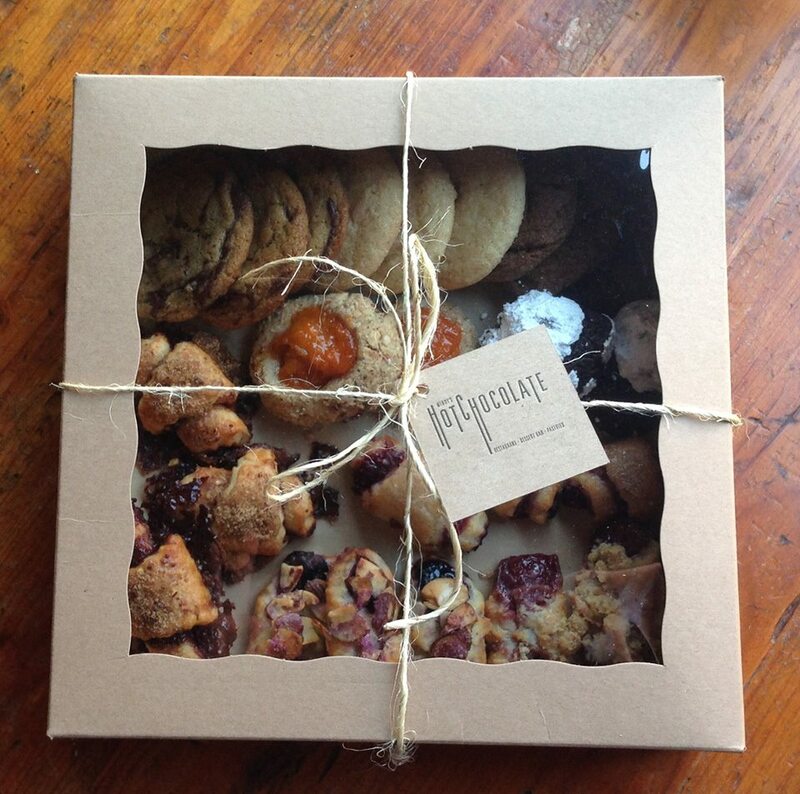 Brooklyn-based Ovenly incorporates interesting flavor combinations in its baked goods. Ovenly’s offerings include Honey Blondies, Montego Bay Bars (date + cocoa), Salted Chocolate Chip Cookies, Pistachio Agave Cookies, Carrot + Honey Buttercream Cupcakes, Cornflake Blueberry Muffins, Cinnamon Nutella Quick Bread, shortbread with espresso and burnt sugar and more. A number of these items are vegan, wheat-free, or gluten-free. ■ Chocolate, Olive Oil & Other Specialty Oils, and Cheese are the top three categories of specialty foods purchased. Frozen Desserts/Ice Cream took 6th place while 9th place was taken by Bread & Baked Goods. ■ Slightly less than one-half (49%) of specialty food consumers purchase food online . This drops to 14% when looking at online sales of Chocolate. 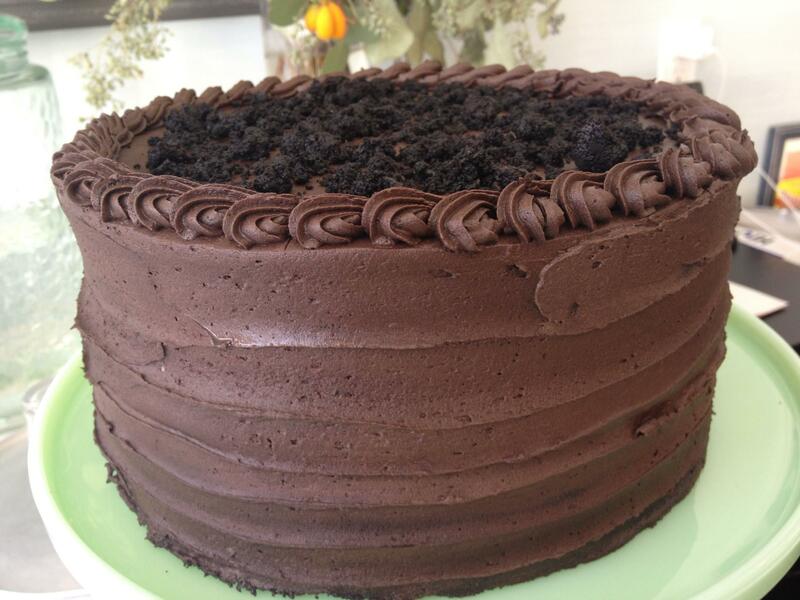 I’m glad I live in an area where so many dessert entrepreneurs are turning out their very tasty treats! What happens when Finance major and a sculptor go into business together? 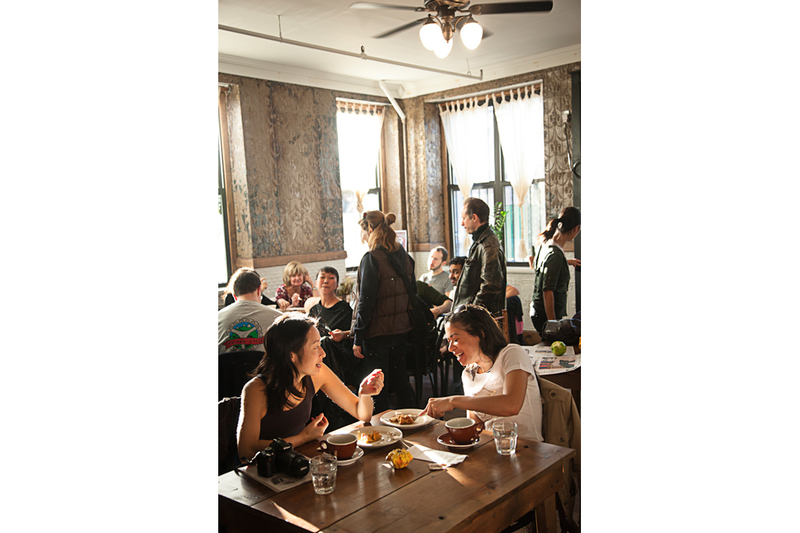 For sisters Melissa and Emily Ehlsen, the result is the acclaimed Brooklyn, New York pie shop and café, Four & Twenty Blackbirds. At the 92nd Street Y in Manhattan, the sister demonstrated how they make pie crust for their pies and “spilled the beans” about their business and how they got started. Melissa and Emily were raised in South Dakota and come from a food and entrepreneurial background – their father an independent farmer, and their mother and aunts, restauranteurs. Their grandmother baked pies for the family restaurant. (In keeping with the family connection, their mother was in the audience at the 92nd Street Y lecture/demonstration.) After pursuing different careers, the sisters wanted to start a business together, and as they put it “food is what we know.” They started with custom pies, baked in their apartment. 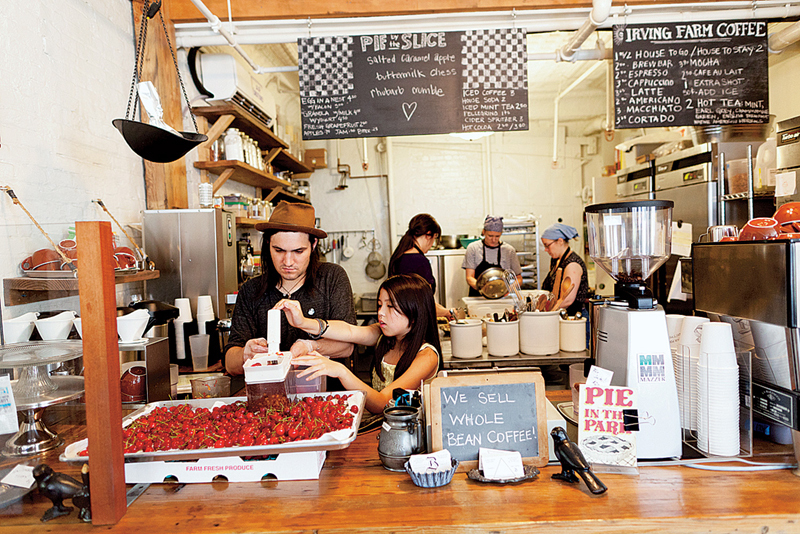 Then they set up their Brooklyn pie shop as a neighborhood coffee shop, but with pie. They didn’t know of other places like it. 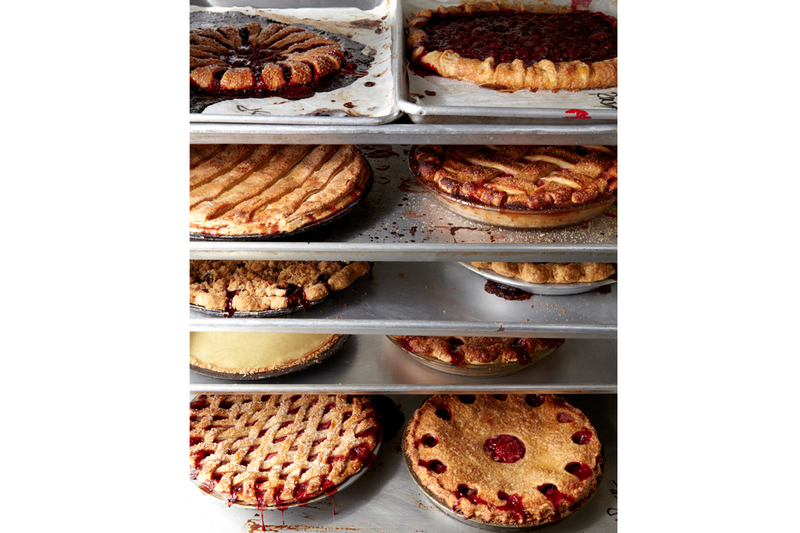 At Four & Twenty Blackbirds slices of pie are served up, and a limited number of whole pies are available. 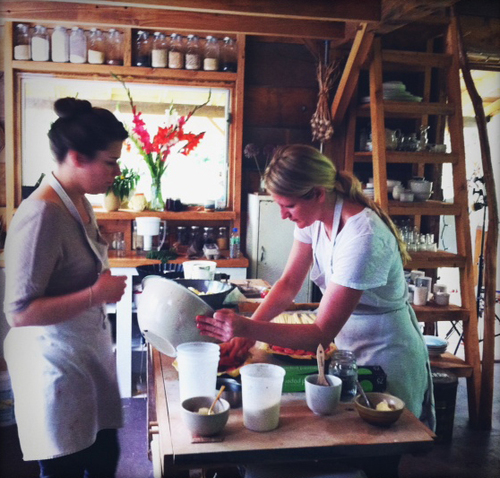 Melissa and Emily work closely with local, organic orchards and only use fruit that’s in season. That’s why cherry pie makes a very brief appearance on the menu – cherry season is short. The fall line-up includes: Salted Caramel Apple; Bourbon Pear Crumble; Brown Butter Pumpkin; Malted Chocolate Pecan; Salty Honey; Birch Beer Float; and Lemon Chess. A Four & Twenty Blackbirds cookbook was published at the end of October 2013. Interestingly, the cookbook includes some recipes for pies that aren’t available in the pie shop/café. Chiffon pies, for example, aren’t sturdy enough to withstand the rigors of the shop. 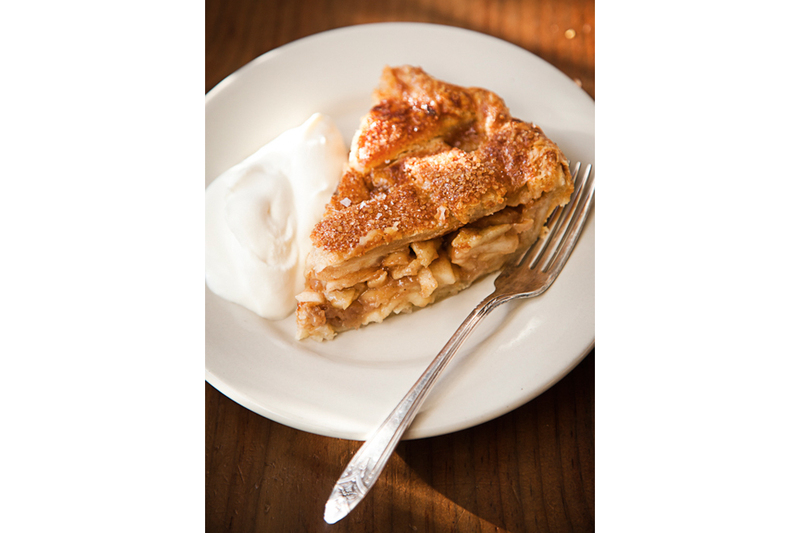 While it’s a Brooklyn-based business, the pies can also be found in Manhattan (the Untitled Café at the Whitney Museum) as well as in the Western Catskills in Upstate New York (the Table on Ten restaurant). I’ve been afraid to tackle pie, but I think I’ll give it a go! I discovered Broadway Baker (www.broadwaybaker.com) at a Williams-Sonoma Artisan Market in Manhattan. These Artisan Markets showcase local artisan food producers. Jim Osorno, owner of Broadway Baker, was a singer and dancer on Broadway before devoting himself to another passion — baking. 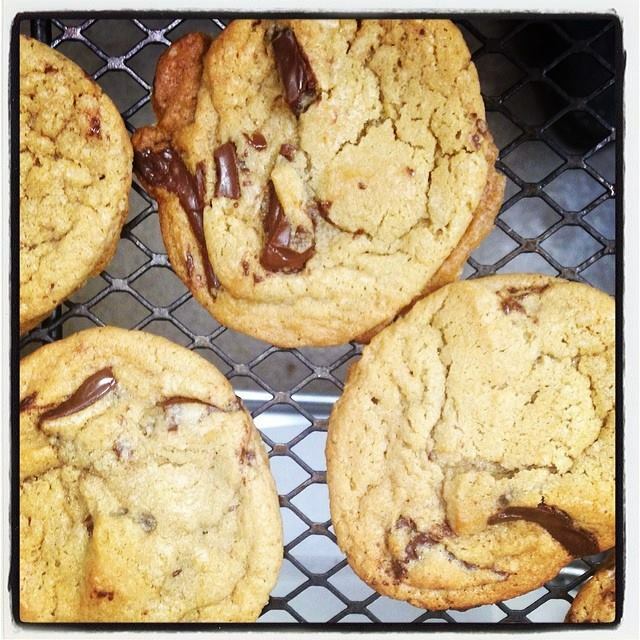 His company bakes a variety of cookies, brownies, and cupcakes to order. A Carrot Raisin Oat Mini-Loaf and granola round out Broadway Baker’s product line. At the Artisan Market, I purchased the Lemon Raspberry Shortbread Cookies and they were great. Growing up, Jim was always in the kitchen, baking and cooking with his parents and grandmother. A lot of the recipes he uses today were his mother’s and grandmother’s that he added his own twist to. 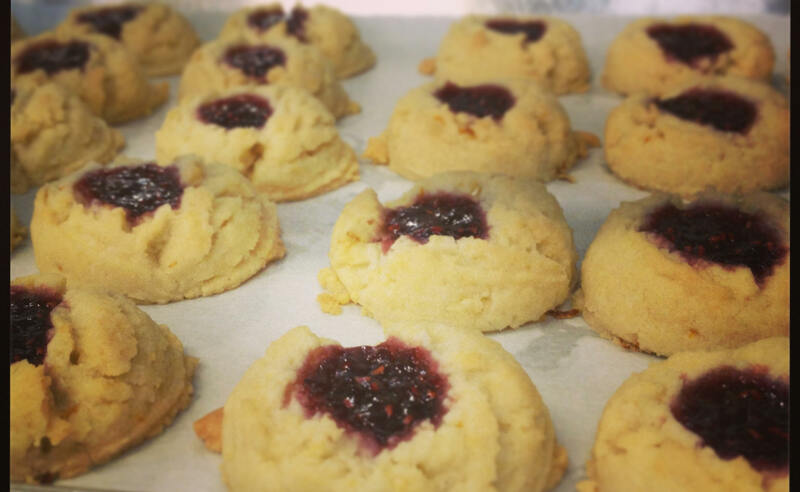 For example, the Lemon Raspberry Shortbread Cookies are based on his grandmother’s Shortbread Cookie recipe — to which he added lemon zest and raspberry preserves. 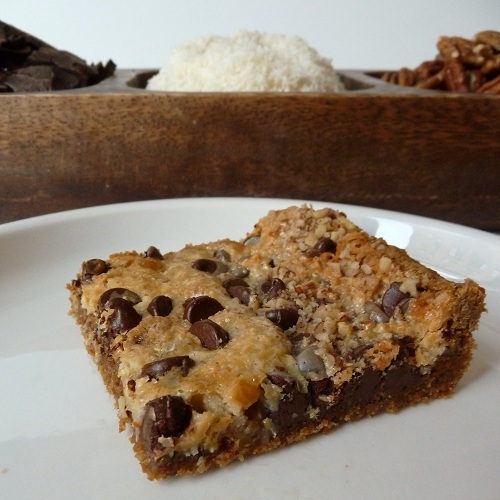 One of his favorite treats as a child was his grandmother’s “Mix-Up Bars.” And “Grandma’s Mix-Up Bars” are one of his brownie offerings now. A homemade graham cracker crust is topped with semi-sweet chocolate, unsweetened coconut, and crushed pecans, then the bars are drizzled with a sweet cream glaze. His “Mom’s Granola” is based on the granola that his mother prepared for him for breakfast. He takes very seriously his desire to help others. 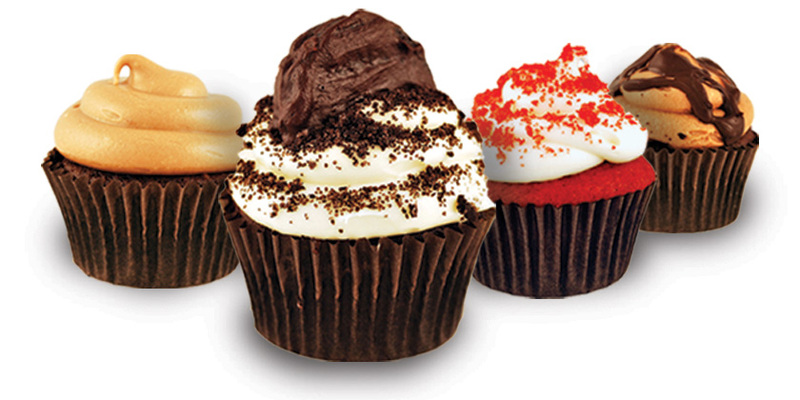 A portion of Broadway Baker’s sales are donated to these charities: Alzheimer’s Association – NYC Chapter, ASPCA, and Broadway Cares/Equity Fights Aids. After Super Storm Sandy, he donated 10% of the sales of special cookie and cupcake packages to the New York Cares charity for Super Storm Sandy relief. We’ll check back with Jim to see if there’s any Broadway Baker news. She’s always loved biscotti, but her attempts at creating biscotti led to what she thought were less than optimal results — the biscotti were too crumbly. 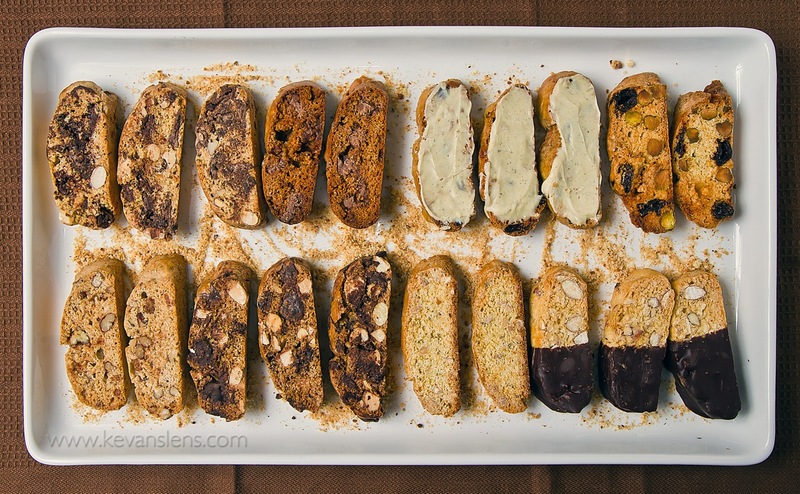 As a culinary professional who teaches and develops and tests recipes, she was convinced great biscotti were possible. After research and development and tweaking, she perfected a biscotti recipe. The biscotti had a nice “snap” and were not overly sweet. After mastering the basic recipe, Trish was hooked and began experimenting with all sorts of different biscotti flavors and varieties. At the Roger Smith Cookbook Conference Trish had samples of some of her biscotti. I tried the Peaches & Cream Biscotti, which I have to say, were excellent. She presented at the Cookbook Conference in order to help clarify what her next steps should be to launch a biscotti business. I sat down with Trish six weeks after the Cookbook Conference to find out what progress she’s made with the biscotti business. — A cookbook deal may be in the works. And she’ll have gluten-free recipes available for all of her biscotti. We’ll check back with her to see how the business is progressing.